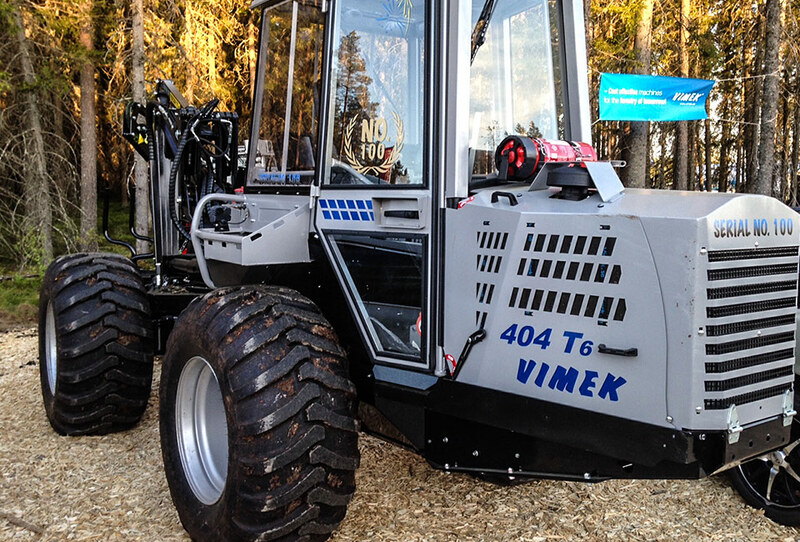 A new generation Vimek harvester equipped with new engine from CAT with 60 Hk and a modern hydrostatic transmission from Bosch Rexroth. Extremely easy to manuever, thanks to the unique dual steering function. Low fuel consumption and low investment costs for good total economy. 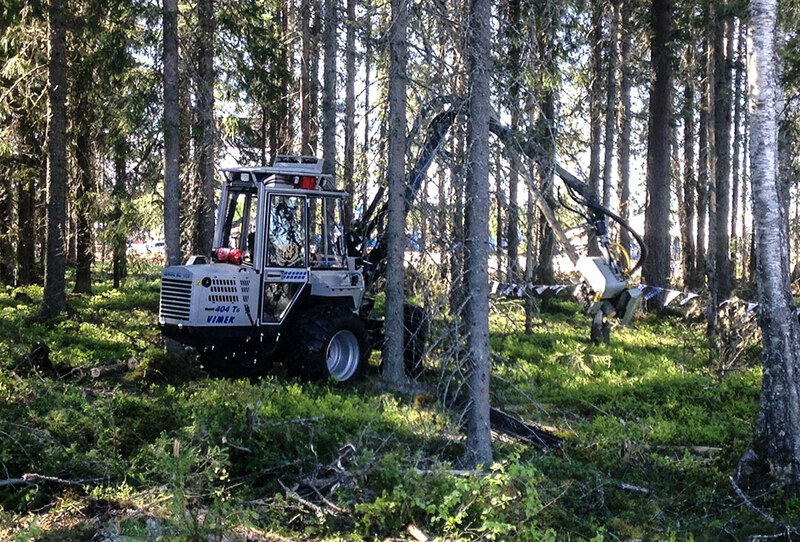 Vimek 404T5 can also be equipped with different crane tip attachments – for example Vimek clam shell bucket for ditch clearing or our felling head for brush clearing under electric power lines. 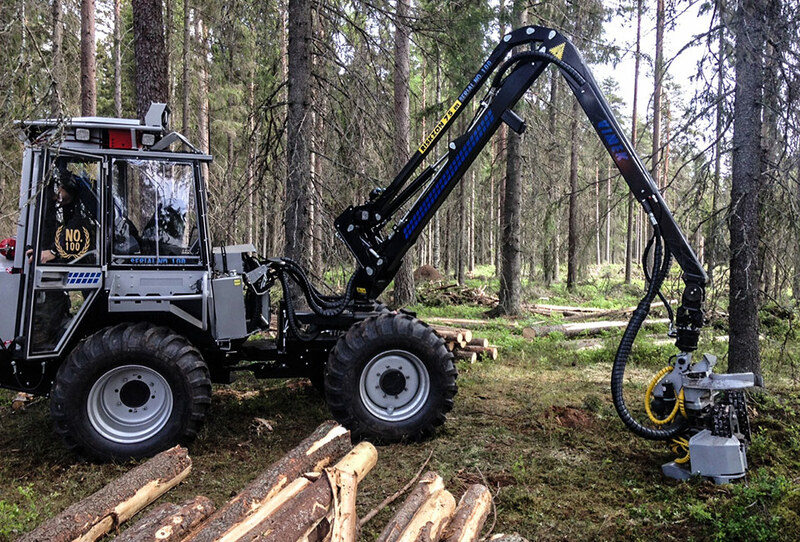 Improved environment for the operator thanks to rubber mounted cabin, new and modern display and mini joysticks as options contribute to a comfortable cabin.